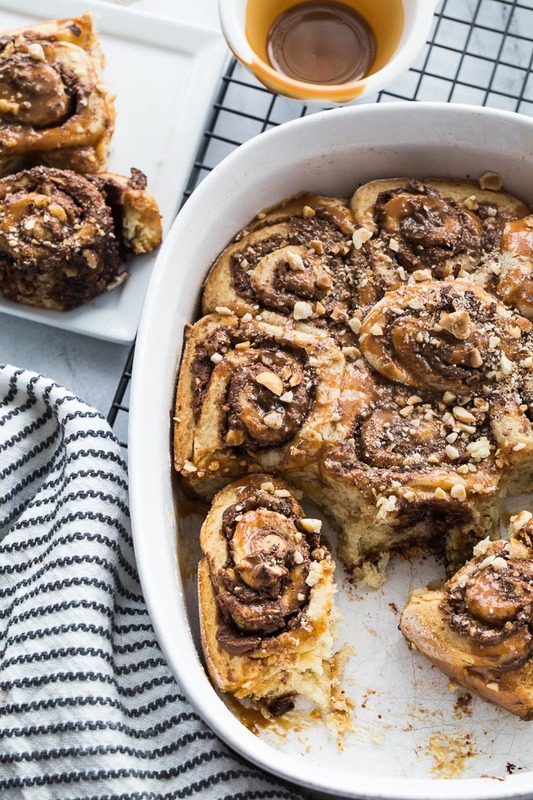 We all deserve an indulgent treat every once in a while and these rolls look like the answer. Plus, calories don’t count during the holidays, do they 😉 Hehehe…. Love how quickly these beauties come together and the flavours just go so well together. Merry Christmas to you and yours, Leanne! Hope Santa is good to you! Thanks Dawn! Santa was good to me, as usual! 😉 And I treated myself to more than one of these rolls. I totally agree with your calorie logic. I hope you had an enjoyable holiday season too! Oh my!! 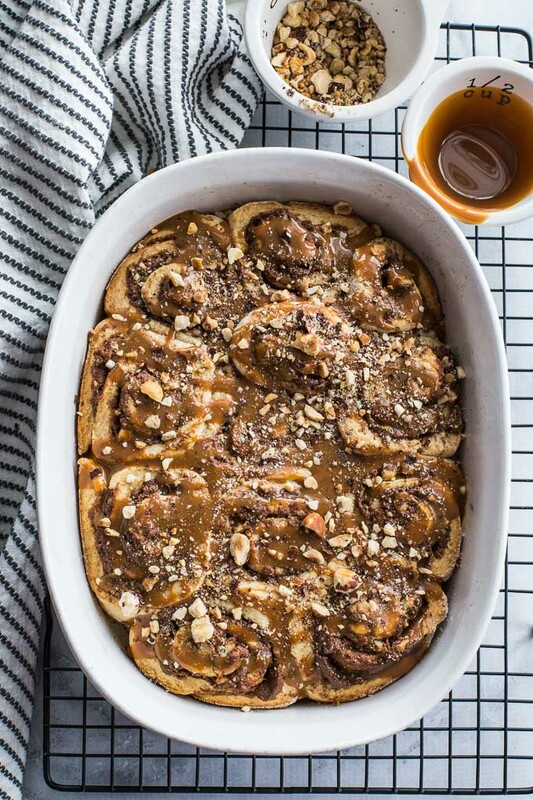 Between the hazelnuts and the caramel sauce these look SO GOOD!!! 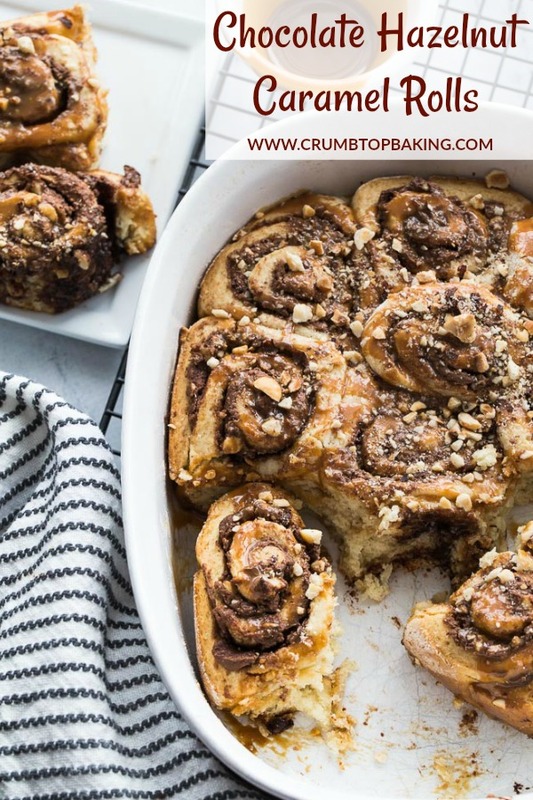 Perfect for christmas morning (we always do cinnamon rolls that day!). Happy Holidays!!! Thanks Ashley! 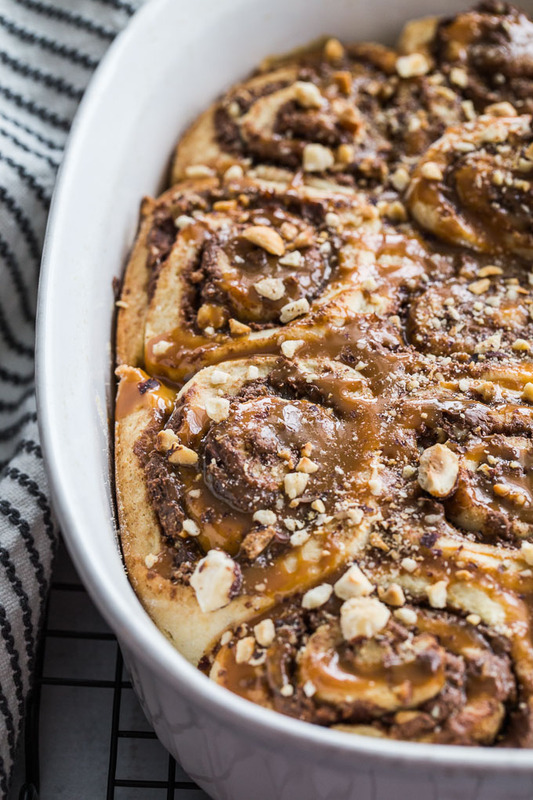 The rolls taste great without the caramel sauce, but it adds a sweet and sticky texture that just goes perfectly with the Nutella. 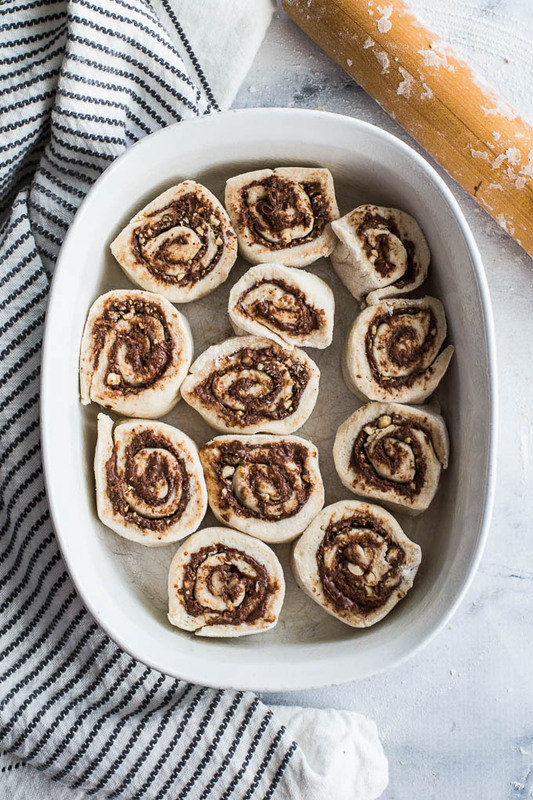 Cinnamon rolls on Christmas morning sounds like a delicious tradition. I hope you had a lovely holiday! Oh my goodness! My mouth is seriously watering. 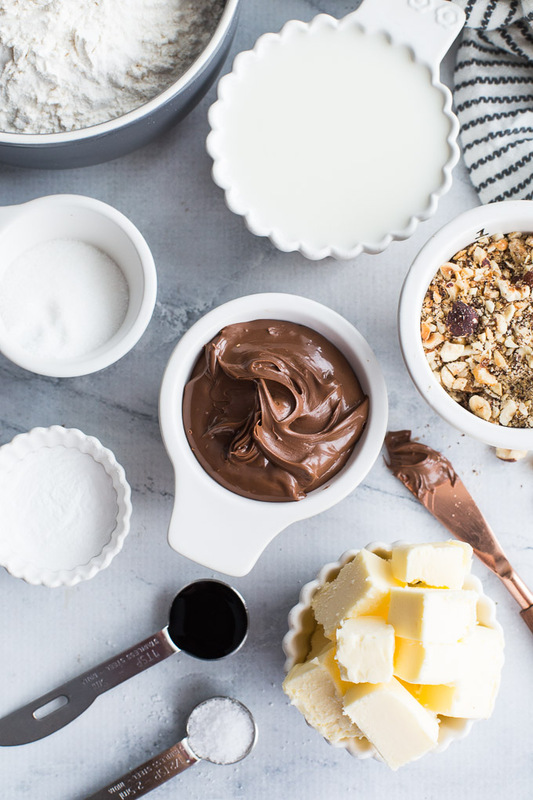 These look seriously so amazing, Leanne! I’d love to have a warm batch of these waiting for me on Christmas morning. Hope you and your family have an amazing Christmas! Thanks Haylie! It was a fantastic Christmas and we enjoyed plenty of these rolls over the holidays! I only wish I had someone to make them for me! Thanks so much Terry! I hope you got a chance to make them over the holidays! And I hope you had a great holiday! Haha! Thanks Patrick!! Enough said indeed! 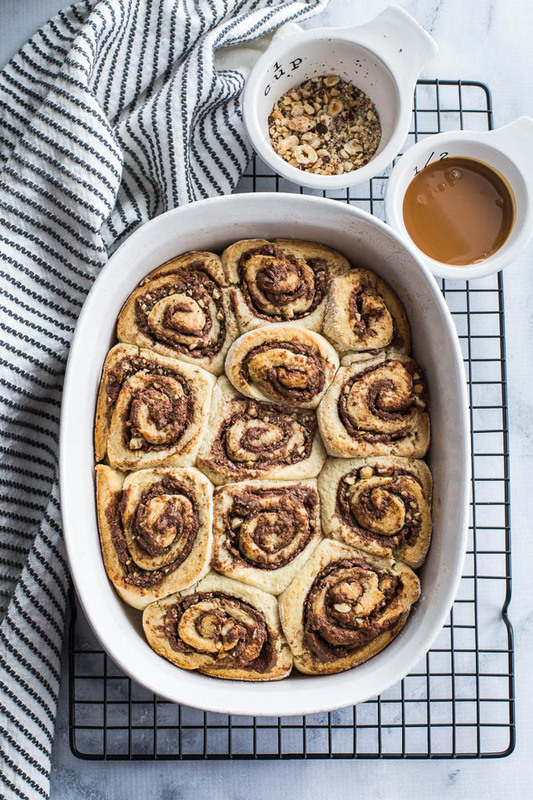 My mouth is literally watering looking at these gorgeous rolls, Leanne! Such a perfect treat for Christmas morning! Thanks Marissa! They were a big hit at our holiday brunch! These look totally decadent Leanne. And the holidays are for delicious sweet treats, so I wouldn’t feel one bit guilty treating myself! My husband would have the same reaction as yours for sure! Thanks Mary Ann! They were definitely a lovely Christmas treat. But I’m pretty sure my husband is going to want me to make them year round! These look just so delicious Leanne. Definitely a great holiday breakfast. Thanks so much Ashika! Merry Christmas and Happy New Year to you too! 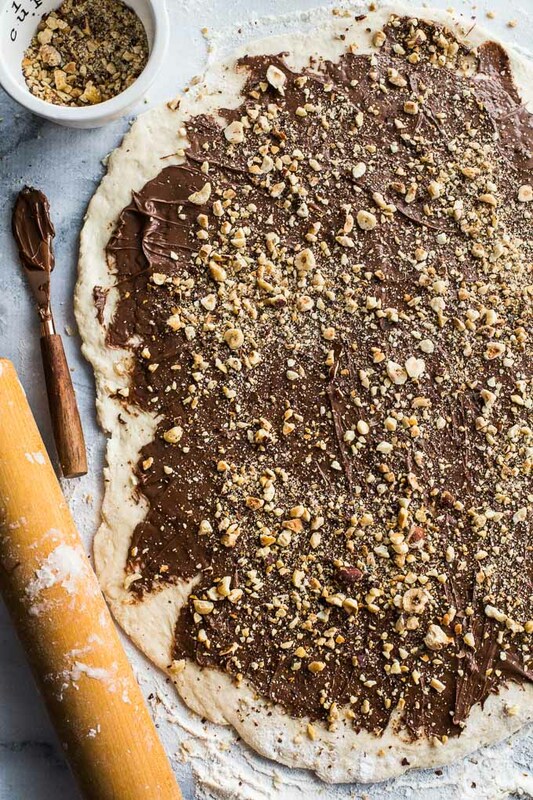 Why haven’t I thought of making rolls with nutella and hazelnuts myself? This combination is heavenly, and the rolls look fantastic! Indeed I only make rolls maybe once a year, normally around Christmas, so this recipe might be very appropriate now. Happy holidays! Thanks Ben! Happy holidays to you too. Hope you had a good one! These were definitely a nice Christmas treat, but I’ll be sure to make them year round! Just made these today. I did have a homemade hazelnut butter I made this week and just added melted chocolate, almond milk and a bit of coconut oil. 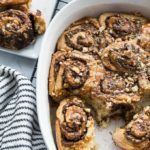 These rolls turned out absolutely delicious, my kids loved them! 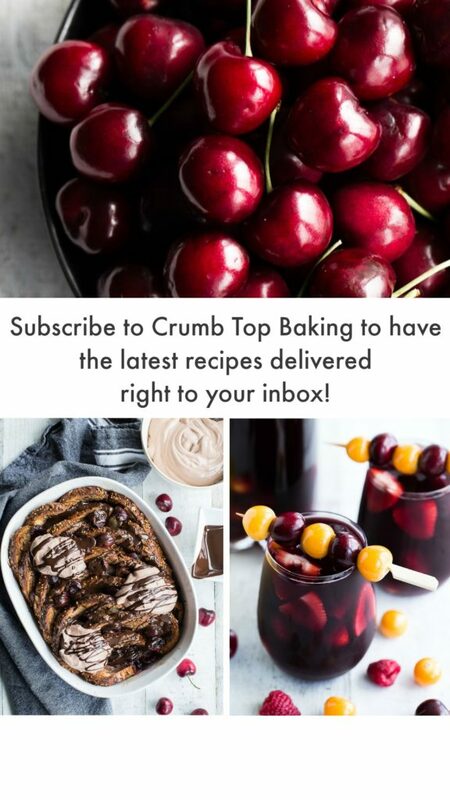 Thank you for the great recipe, Leanne! Thank you! I’m so happy you and your kids liked them! And I love the substitutions you made. I’ll have to give that a try!